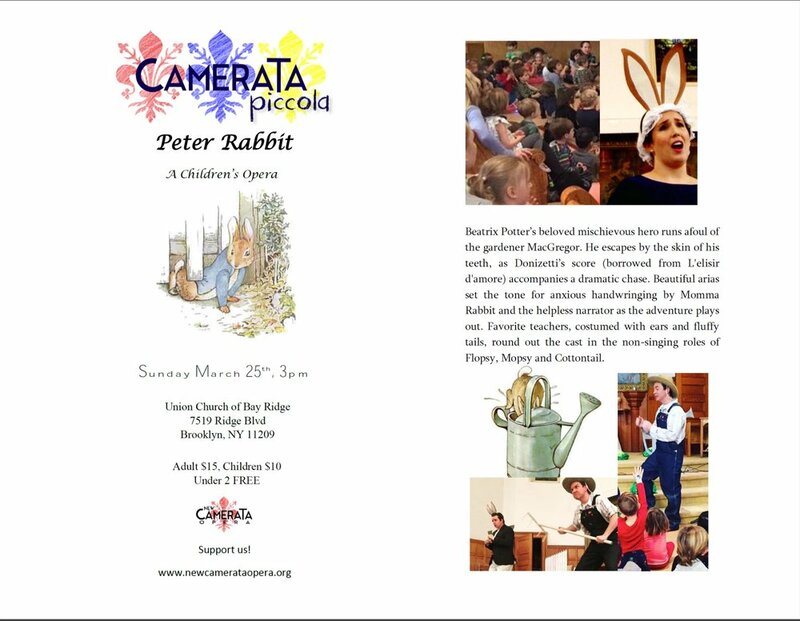 On Sunday, March 25th at 3pm, Union Church will present "Peter Rabbit", a children's opera performed by New Camerata Opera in New York City. Come bring your whole family for this fun show! New Camerata Opera is a NYC based small opera company, whose aim is to engage, excite, and educate through immersive performances that break down barriers and inspire fans of the future.